This is the third time photographing this sweet family, they've had me out to capture each one of their boys when they turned 1! I love these types of sessions, and little ones at these ages, they are so full of life and so spontaneous which makes for some pretty cute captures! Another sweet little fella I had the pleasure to photograph. His Grandma brought him in for this session to surprise his Mom, which I think is such a great idea and so thoughtful! He was so cute, pretending to be on an adventure searching for dinosaurs! I can't tell you how much I loved photographing these four boys! One of the parts I love most about my job is when my close friends ask me to photograph their beautiful little families! 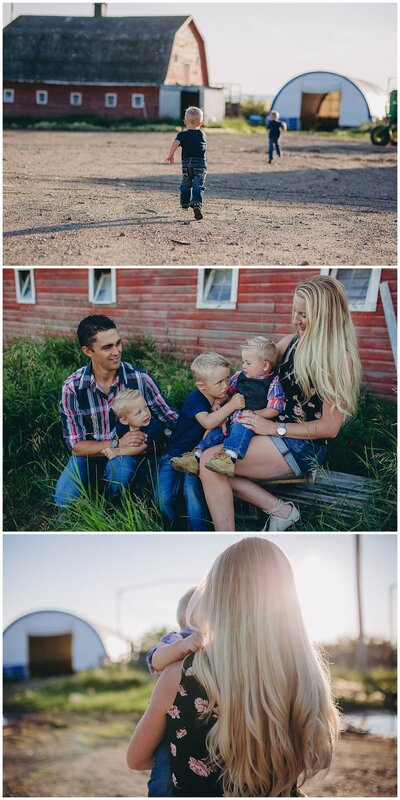 These four are cousins and we decided to do the session on the family farm where their two Mamas grew up and their Grandparents still live. Hope you enjoy these sweet faces as much as I do!